Are you planning to move? Do you have a vehicle or heavy equipment that you need transported? Do you need a Canadian auto transport company that has extensive experience? Akita Equipment's vehicle transport service can help you safely move your car, truck, motorcycles, efficiently to your chosen destination in Canada or the USA. 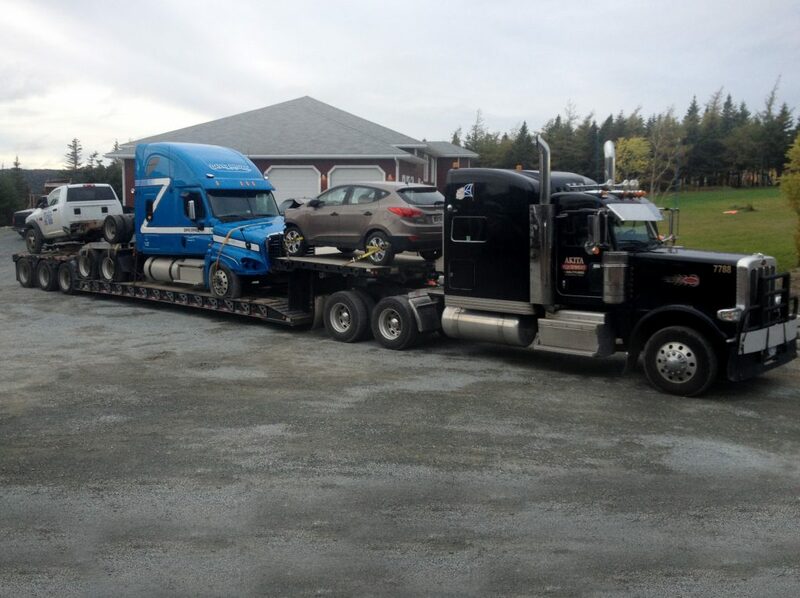 Akita Equipment and Auto Transport is your professional choice for an auto transport company in Newfoundland and Labrador, Canada. As one of the leading and best Canada auto shipping service, we have the expertise and resources to safely transport your vehicle. We make sure your vehicle arrives in pristine condition by providing the care and attention you would expect from the best Canadian car shipping service. Akita Equipement and Auto Transport has specialized in transportation service excellence for over 10 years and prides itself in stress-free deliveries. We will ship you vehicle to any destination in Canada or the United States, whether it be your car, truck, motorcycle and even heavy equipment. Akita Equipement and Auto Transport is proud of its ability to transport any type of vehicle. As leading auto movers we have various types of trailers to accommodate the safe transport of any type of vehicle from passenger cars and trucks to commercial vehicles, heavy equipment and over demensional loads. We guarantee that our transportation and shipping services are of the highest quality and are designed specifically for your shipping requirements. As a leading Newfoundland car transportation company, we have modern trucks and trailers to transport your load safely and on time. Akita Equipment is a family owned and operated transportation company and you can expect the best customer service only a family run business can deliver.